Mercy Relief, Singapore’s leading independent disaster relief agency, is en route to conduct relief distribution operations with ground partners in Sri Lanka, where monsoon rains have triggered floods and mudslides since Friday, 26 May. In response to an appeal for international assistance made by the Sri Lankan government, Mercy Relief will deploy a disaster response team expected to arrive on Tuesday morning, 30 May. The team will be assessing and monitoring the varying needs of the communities affected. The first phase of relief distribution efforts will contain essentials such as food and hygiene items. 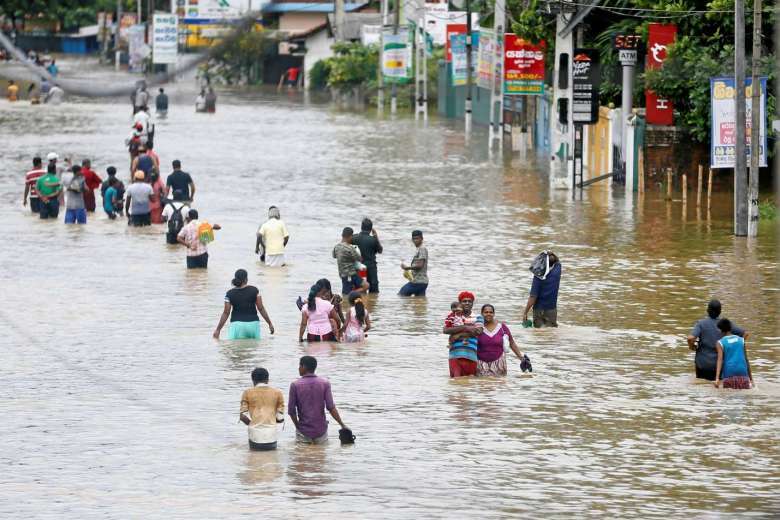 According to reports from the Disaster Management Centre in Sri Lanka, 126 deaths have been recorded, with 97 more missing. More than 400,000 people remain displaced across 15 districts with 7 districts on high alert for landslides. As assessment of damage is still ongoing, the number is expected to rise. Members of the public who wish to donate to relief efforts can donate here. To stay up-to-date with our relief efforts, follow Mercy Relief on Facebook. Teach the Man to Fish, then what? MR unveils its new overseas volunteer expeditions programme – MOVE! A season of joy & grace – make a wish for Mt Mayon residents. Happy Holidays! A tribute to MR’s volunteers- Happy International Volunteers Day! Thank you for supporting the MercyAid Concert & Road Show!